Aah downloads! Probably the favorite activity we indulge in all day instead of shutting down the computer and taking a walk outside. Thanks to download managers, we can actually take a walk outside without us having to shut down the computer. If you haven’t been using a download manager then it’s high time you should use a dedicated one because the browser as a download manager just doesn’t cut it. Download managers allow you the flexibility of doing simple things like shutting down the computer Automatically Shut Down Your Computer After Downloading Has Completed [Windows] Automatically Shut Down Your Computer After Downloading Has Completed [Windows] Leaving your computer on to download files can be a smart move, but what happens when the download completes? Your computer will stay powered on, doing nothing but wasting electricity and costing you some money.... Read More after all downloads are safely home residing on your desktop, grabbing links from file hosting sites like Rapidshare, or the one a lot of us like to concentrate on – downloading YouTube videos Paste The URL Of Any Web Video & Grab Them Without A Fuss With Freemake Video Downloader [Windows] Paste The URL Of Any Web Video & Grab Them Without A Fuss With Freemake Video Downloader [Windows] High speed bandwidth and anywhere-anytime mobile access hasn’t yet succeeded in giving online videos the spoils. Video download tools are yet to go out of fashion. You might see a common name that keeps popping... Read More without a fuss. Good download Managers usually integrate with browsers that are the first window for a download. Sometimes, even good download managers miss the plot. What then? FlashGot is the bridge between your browser (Mozilla Firefox in this case) and your external download manager. As I said above, external download managers sometimes don’t recognize a downloadable link in Firefox or simply don’t integrate well with Firefox. Not all download managers come with a plug-in for the Firefox browser. FlashGot is an Open Source Firefox add-on that helps the Firefox browser and the external download manager do a smooth handshake. FlashGot helps you override the browser’s own basic download and connect to the more powerful external download manager. In short, FlashGot turns every supported download manager into a download manager for Firefox. FlashGot supports 50+ external download managers. 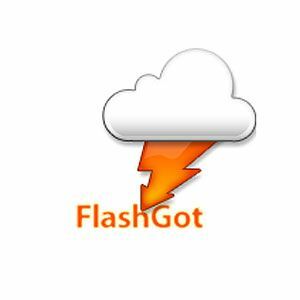 The good news is that FlashGot support is available for all popular download managers on Windows, Mac, and Linux. The complete list of supported download managers is given on the add-on’s homepage. The lightweight add-on is actually a heavyweight in disguise. After the straight and simple install from the Mozilla Add-ons Gallery, it is available on the right-click contextual menu. FlashGot auto-detects your installed download manager on startup if it is supported by FlashGot. If it is not, you can manually include it by providing its executable path and parameters in an arguments template given under the Options. You can configure the options you want displayed on the right-click menu under the FlashGot group. The one below is the compact sub-menu. You can also put it on the toolbar as a button. FlashGot pops up as an option in the browser’s download dialog box. The neat thing is that you can choose to download the file with the download manager or override it with the default browser download. You can set the option as automatic, but I prefer not to. There are several ways you can download files from a webpage. 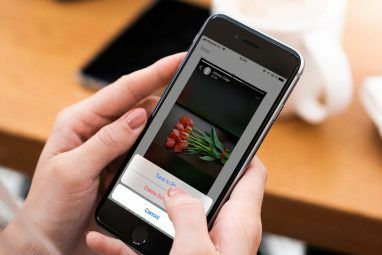 FlashGot allows you to capture one link, selected links, or all links on a webpage with one single click. For instance, FlashGot Selection grabs all real links and plain text fragments in the area you select. You can choose to use the filters on your external download manager to download the specific files you want (provided it has one). Similarly, FlashGot All catches every single link on the page, excluding duplicates and including (Flash) movies and other embedded content. There is also a FlashGot Tabs command which does a “FlashGot All” on every tab open in the current window. FlashGot can just as easily download files one at a time from popular file hosting services like Depositfiles, Rapidshare, FileSonic etc. after you have entered the CAPTCHA and passed the waiting period. But for batch downloads to work with the add-on and your external download manager, you should have a premium account. Let’s say you have to download a long list of media files scattered over several pages. The Build Gallery allows you to build up a queue of such files for download and preview this list before you download them. All the files will be downloaded in multiple streams. 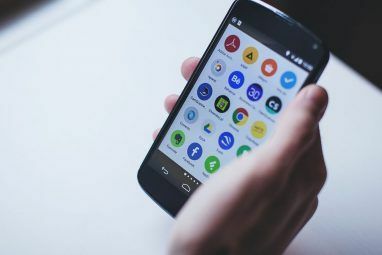 The Build Gallery could be the download solution you will choose to get multiple streams of MP3 files or image files scattered over inter-connected pages. The only condition is that the files should fall within a numeric range that connects them in a series. It can be a numeric range, an alphabetical range, or an alpha-numeric range. See instructions here. FlashGot includes a number of refinements under the hood. FlashGot Media could be the one feature you will commonly use to download streaming media from YouTube. FlashGot intercepts the streaming video and flashes the status bar icon as a notification. Then you can either download all the streams at once, or right click to choose among multiple streams in your download manager. FlashGot’s strength is also dependent on the strength of the external download manager. For instance, some download managers won’t have a dialog that allows you to individually pick the file to download. So, the add-on will work well with some. I found a few quirks with FlashGet at first when the latter wouldn’t detect the links for a FlashGot All operation. Disabling clipboard detection helped to resolve that. The few quirks aside, FlashGot is a recommended add-on to have in your Firefox browser. It is one of the add-ons we have given a thumb up on in our Best Firefox Add-ons page. Have you tried bridging your Firefox browser with an external download manager with FlashGot? Have your downloads been better for it? 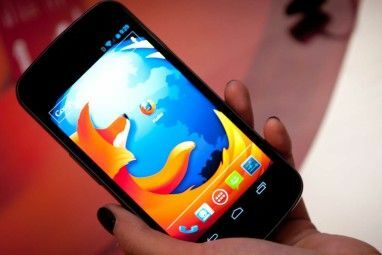 Explore more about: Download Management, Mozilla Firefox. I've been using FlashGot coupled with DownThemAll for almost 10 years. Great combination. Have been using FlashGot for about 6 months. Has been working well. No burps, crashes, etc. Thanks for the in-depth article. Didn't know it was so powerful and versatile. Well, it is the solution till external download managers get better with browsers. So far FlashGot has been pretty smooth. Looks interesting. Will check it out in depth. Thanks for the mention.